Pens Ball Point 4-Colour 4Pk. 14.5cm. 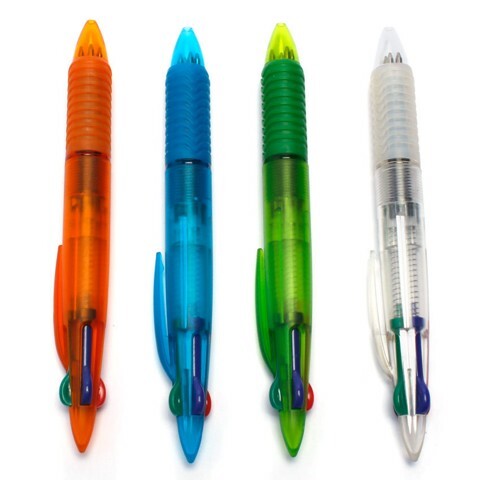 Pen Shells: Blue | Orange | Green And Clear. Ink Is Red | Blue | Black | Green. ABS | TPR | MBS. 12G Packaging: OPP Bag with Header.